Summary: A marvelous, marvelous year. I’d be very surprised if it’s not the strongest year that Boffo will cover. Looking over 1971, it’s composed almost entirely of good movies; Kotch and Summer of ’42 are the only real stinkers. It might have been expected that 1971 would betray all manner of incoherent doubt, rage, and frustration. But far from incoherence, movies instead grappled with difficult subjects with stunning narrative assurance. Number 1 movies are accessible by definition, but this group presented audiences with difficult subjects and flatly refused to take the easy way out. What did I expect? A brutalist police movie with an agenda. What did I get? Hooooo, boy. 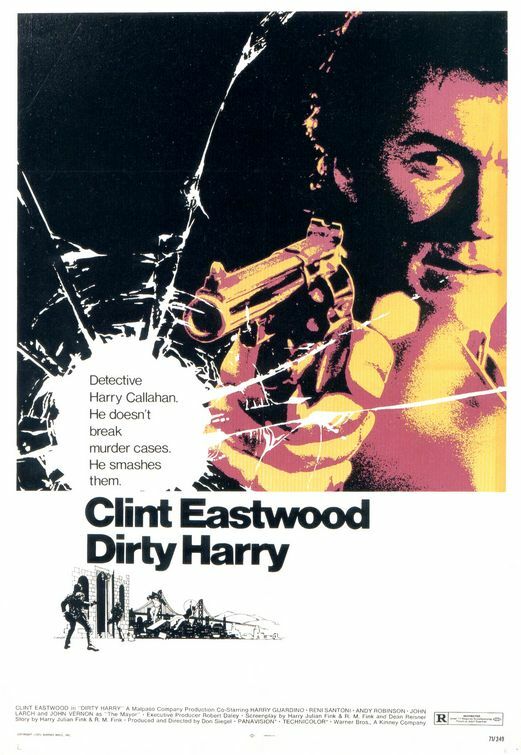 In Dirty Harry entertainment and politics have a fight to the death, and — well, in all honesty entertainment wins, in the world at large anyway. But here at Boffo politics is going to get its day in court — big surprise. I also view Dirty Harry as a war between two fantasies, the revenge fantasy that the Bay Area understandably needed after the Zodiac Killer case, trumped by the more regrettable political fantasy of a world in which liberals have no sway. In short, this is a stirring, problematic movie. What did I expect? A good late-Connery Bond movie. What did I get? Pauline Kael deprecated Diamonds Are Forever on the grounds of insufficient suavity. She was on to something — it’s a relatively rough-hewn and low-key Bond movie — but I say she had it upside down. 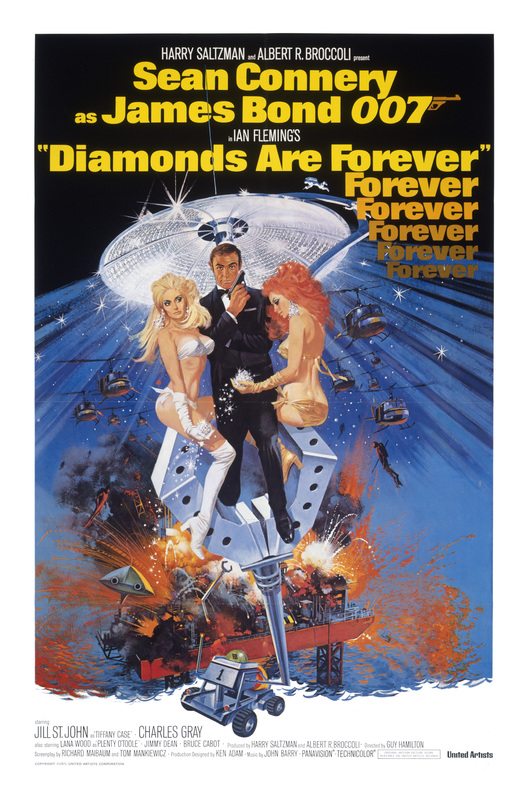 The test of a Bond movie is whether it would hold up as a good movie if you removed all the de rigueur Bond tropes and unmotivated globetrotting; by this standard, Diamonds Are Forever comes out looking pretty good — it can almost bear scrutiny as a regular movie. It’s very entertaining, and it admirably ignores many of the canonical James Bond tropes. More interestingly, it’s also a piece of lighthearted propaganda about the stupidity and worrisome might of the United States of America. That I was not expecting. What did I expect? A really Jewy musical. What did I get? 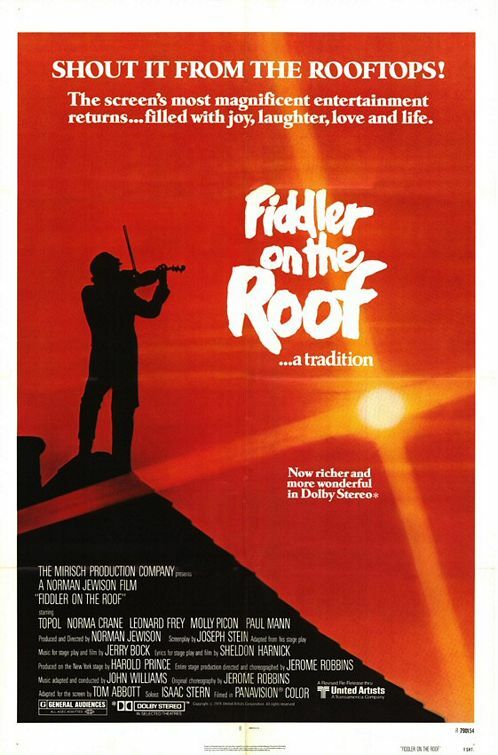 Despite its considerable popularity, I was expecting Fiddler on the Roof to be a pill, not candy. Shows you what I know. Fiddler is a remarkably appealing movie, a truly cinematic musical à la The Sound of Music, only with more gravitas and stylistic coherence. The songs are really good, and the movie’s great warmth prevents the subject matter from becoming distancing. 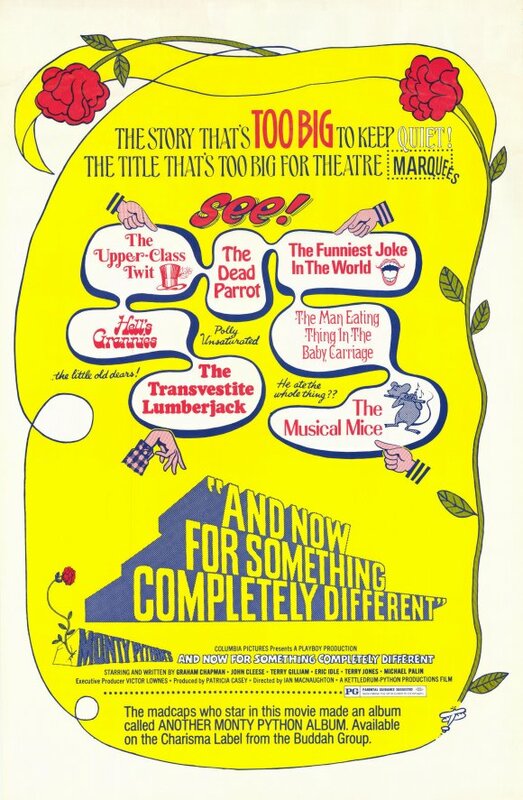 Compliments to the writers behind the original musical, Jerry Bock, Sheldon Harnick, Joseph Stein; to the director, Norman Jewison; and to the lead actor, Chaim Topol. Those five people, more than any other, are responsible for the highly enjoyable movie experience that Fiddler is. What did I expect? A creepy thriller. What did I get? I had my forebodings about Play Misty for Me. I don’t always react well to movies that depict intense mental states or anguish, and I was worried that the movie would put its audience through the ringer somewhat. I needn’t have worried — Clint’s first feature as a director is a very intelligent, enjoyable, measured movie with only a few stray moments of hysteria, which, given the subject matter, is only fair. 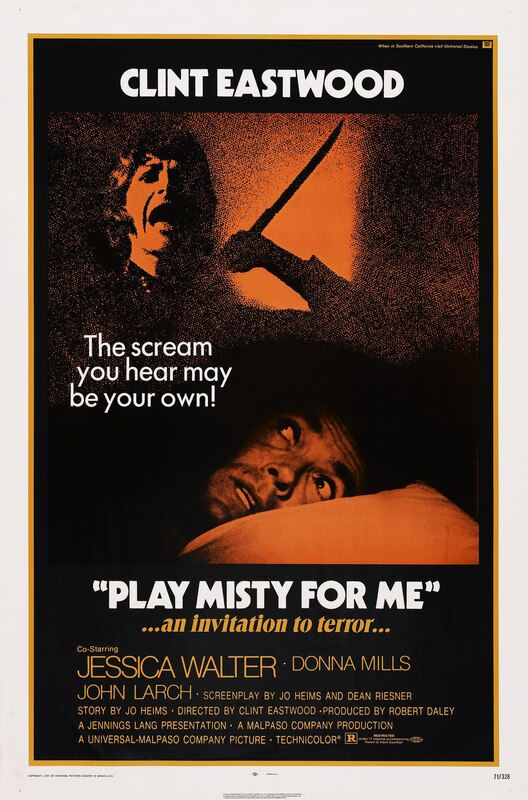 The poster is markedly more lurid than the movie itself. What did I expect? A flawlessly dreary drama about 1950s Texas. What did I get? 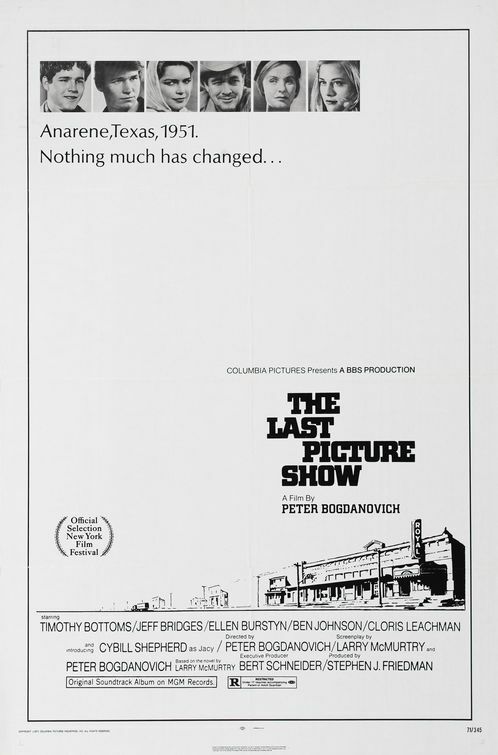 I’m impervious to the well-documented allure of The Last Picture Show. There can be no question of the quality of the filmmaking or the ambition of the enterprise, but it just does not do much for me. The movie’s precise, black-and-white cinematography is simply gorgeous to look at, intelligence and taste are everywhere evident, but the characters are not involving enough, there’s too much unremitting misery (with hardly a thing in any other emotional register), and the lofty intentions of the filmmakers constantly drown out the activities of the characters. It may be a great movie, but it’s just not for me. What did I expect? The hard-boiledest police drama ever. What did I get? 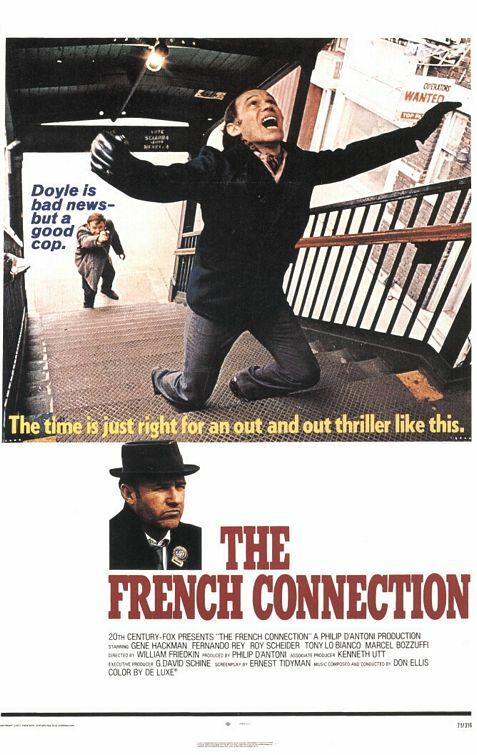 The French Connection is an incredibly effective movie, a feat of sheer direction. It’s the quintessential gritty 1970s NYC movie, of course — I can’t think of a superior or more canonical one, anyway. It presents a remarkably convincing picture of undercover cops working drug cases at the moment when the very concept of the drug problem was entering the public’s consciousness. However, the skillful, pleasurable manipulations of The French Connection serve to smooth over a number of narrative and thematic flaws, and the movie is good enough — that is, asks to be taken “seriously” enough — that we can’t simply brush them aside. What did I expect? A sentimental drama. What did I get? 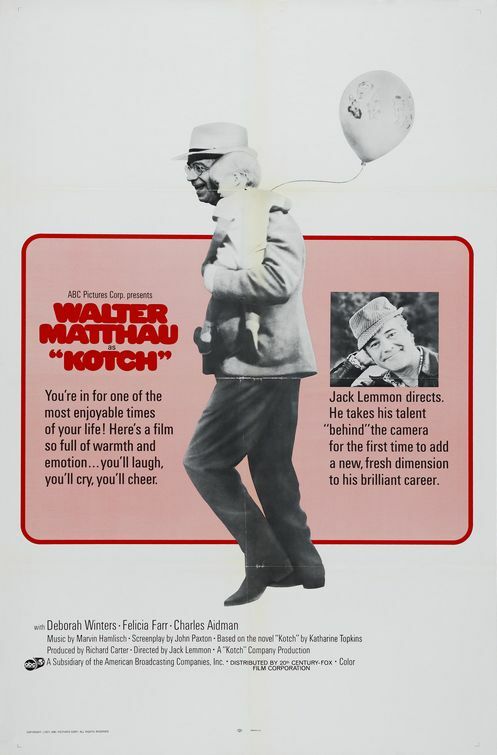 Kotch is a perky and ingratiating drama that lies in the middle ground between inoffensive and grossly incompetent, but it’s difficult to put my finger on why it’s such a lousy movie. 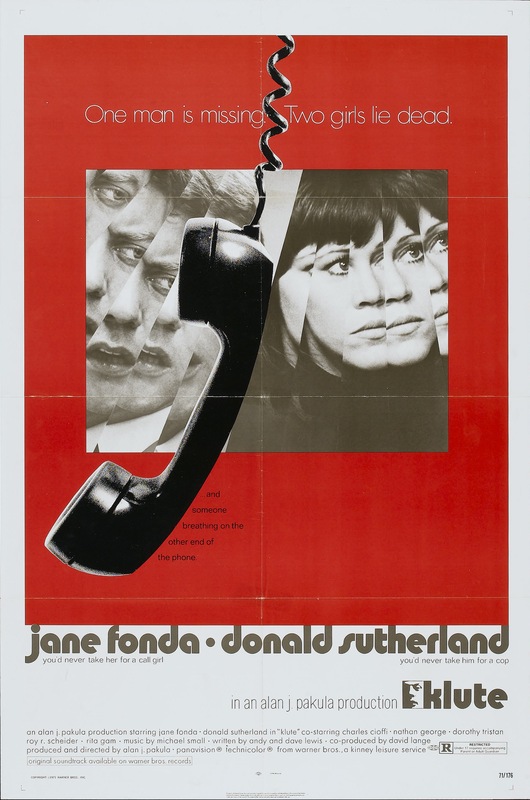 It was directed by beloved actor Jack Lemmon, and despite the success implied by its #1 status it’s easy to see why it’s the only movie he ever directed. More intriguing would be speculations as to what made him think that this story of all stories, based on a 1965 novel by Katharine Topkins (sic) I’m perfectly fine with skipping, would make the ideal vehicle for his directorial debut. What did I expect? A massive dose of Monty Python lunacy. What did I get? Anyone who needs to be convinced or reminded that Monty Python is almost certainly the greatest conglomeration of comedic talent available on recorded media probably isn’t reading this blog. The fact is, there isn’t much original one can say about Monty Python at this point. If you’re fond of Monty Python, you’ll surely enjoy And Now For Something Completely Different. But newcomers will find better versions of these same sketches in the original BBC television series, Monty Python’s Flying Circus. For the Python lover who regards the Flying Circus as sacrosanct — the Holy Grail, one might say — ANFSCD is more than a bit frustrating. The material is top-notch, but these versions are quite stilted by comparison. What did I expect? A 1970s sci-fi flick with Charlton Heston and zombies. What did I get? I’d seen The Omega Man several years ago, on St. Patrick’s Day with some friends; we watched this in lieu of The Quiet Man and then went out drinking. I’m not sure we watched the entire thing that day; we saw most of it. 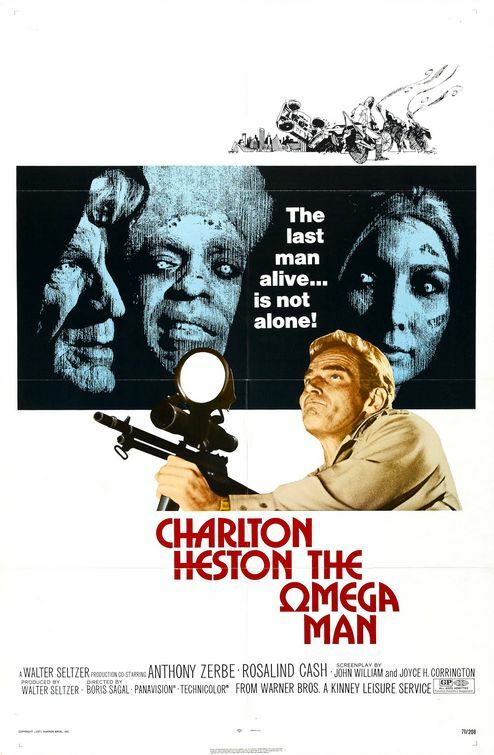 The Omega Man is one of those movies where I find it hard to separate pure enjoyment from ironic enjoyment, both for me and the general group of hipster smartypants who are most likely to reference it. To be frank, I didn’t expect to enjoy The Omega Man much. But I liked it quite a bit.